Ahldén, I., Ahlehagen, S., Dahlgren, L. O., & Josefsson, A. (2012). Parents’ expectations about participating in antenatal parenthood education classes. The Journal of Perinatal Education, 21(1), 11. Andrews, L. (2012, August). Facilitating transition to fatherhood: the role antenatal education classes. In The Second ISA Forum of Sociology (August 1-4, 2012). Isaconf. Artieta-Pinedo, I., Paz-Pascual, C., Grandes, G., Bacigalupe, A., Payo, J., & Montoya, I. (2012). Antenatal education and breastfeeding in a cohort of primiparas. Journal of Advanced Nursing. Barnett, M. A. (2012). Extended Family Support Networks of Mexican American Mothers of Toddlers. Benediktsson, I., McDonald, S. W., Vekved, M., McNeil, D. A., Dolan, S. M., & Tough, S. C. (2013). Comparing CenteringPregnancy® to standard prenatal care plus prenatal education. BMC Pregnancy and Childbirth, 13(Suppl 1), S5. Benzies, K. M., Magill-Evans, J. E., Hayden, K. A., & Ballantyne, M. (2013). Key components of early intervention programs for preterm infants and their parents: a systematic review and meta-analysis. BMC Pregnancy and Childbirth, 13(Suppl 1), S10. Biehle, S. N. (2012). Coping from Pregnancy to Parenthood (Doctoral dissertation, Kent State University). Billingham, K. (2011). Preparing for parenthood: the role of antenatal education. Community Practitioner, 84(5), 36-38. Buurman, M. B. R., & Lagro-Janssen, A. L. M. (2012). Women’s perception of postpartum pelvic floor dysfunction and their help-seeking behaviour: a qualitative interview study. Scandinavian Journal of Caring Sciences. Cronenwett, L. R. (1980). Elements and outcomes of a postpartum support group program. Research in Nursing & Health, 3(1), 33-41. De Choudhury, M., Counts, S., & Horvitz, E. (2013). Predicting Postpartum Changes in Emotion and Behavior via Social Media. Duarte, S. J. H., de Andrade, S. M. O., & Mamede, M. V. (2011). Maternal decision on obtaining prenatal care: a study in Brazil. Midwifery, 27(2), 160-164. Dunn, C., Hanieh, E., Roberts, R., & Powrie, R. (2012). Mindful pregnancy and childbirth: effects of a mindfulness-based intervention on women’s psychological distress and well-being in the perinatal period. Archives of Women’s Mental Health, 15(2), 139-143. Dusing, S. C., Van Drew, C. M., & Brown, S. E. (2012). Instituting Parent Education Practices in the Neonatal Intensive Care Unit: An Administrative Case Report of Practice Evaluation and Statewide Action. Physical Therapy, 92(7), 967-975. Eom, S. Y., Kim, E. S., Kim, H. J., Bang, Y. O., & Chun, N. (2012). Effects of a One Session Spouse-Support Enhancement Childbirth Education on Childbirth Self-Efficacy and Perception of Childbirth Experience in Women and their Husbands. Journal of Korean Academy of Nursing, 42(4), 599-607. Fairbrother, N., Stoll, K., Schummers, L., & Carty, E. (2013). Obstetrician, Family Physician, or Midwife: Preferences of the Next Generation of Maternity Care Consumers. Canadian Journal of Midwifery Research and Practice-Revue Canadienne de la Recherche et de la Pratique Sage-femme, 11(2). Gao, L. L., Larsson, M., & Luo, S. Y. (2012). Internet use by Chinese women seeking pregnancy-related information. Midwifery. Giallo, R., Cooklin, A., Wade, C., D'Esposito, F., & Nicholson, J. M. (2013). Fathers’ Postnatal Mental Health and Child Well-Being at Age Five: The Mediating Role of Parenting Behavior. Journal of Family Issues. Goldstein, L. A. (2013). Family support and education. Physical & Occupational Therapy in Pediatrics, 33(1), 139-161. Gollan, J. K., Hoxha, D., Getch, S., Sankin, L., & Michon, R. (2013). Affective information processing in pregnancy and postpartum with and without major depression. Psychiatry Research. Green, J. M., Coupland, V. A., & Kitzinger, J. V. (1990). Expectations, experiences, and psychological outcomes of childbirth: a prospective study of 825 women. Birth, 17(1), 15-24. Hildingsson, I., Haines, H., Cross, M., Pallant, J., & Rubertsson, C. (2012). Women’s satisfaction with antenatal care: Comparing women in Sweden and Australia. Women and Birth. Kabakyenga, J. K., Östergren, P. O., Turyakira, E., & Pettersson, K. O. (2012). Influence of Birth Preparedness, Decision-Making on Location of Birth and Assistance by Skilled Birth Attendants among Women in South-Western Uganda. PloS One, 7(4), e35747. Kavanagh, K. F., Joyce, S. M., Nicklas, J., Nolte, J. V., Morgan, L. G., & Lou, Z. (2012). Knowledge of the Birth Process Among Undergraduates: Impact of Screening of a Documentary Featuring Natural Childbirth in Low-Risk Pregnancies. International Journal of Childbirth, 2(1), 20-28. Klein, M. C., Kaczorowski, J., Tomkinson, J., Hearps, S., Baradaran, N., & Brant, R. (2011). Family physicians who provide intrapartum care and those who do not: Very different ways of viewing childbirth. Canadian Family Physician,57(4), e139-e147. Larsen, R., & Plog, M. (2012). The Effectiveness of Childbirth Classes for Increasing Self-Efficacy in Women and Support Persons. International Journal of Childbirth, 2(2), 107-114. Lee, M. A. (2012). Parenting Perfectionism and New Parents’ Mental Health(Doctoral dissertation, The Ohio State University). Liva, S. J., Hall, W. A., Klein, M. C., & Wong, S. T. (2012). Factors Associated with Differences in Canadian Perinatal Nurses’ Attitudes Toward Birth Practices. Journal of Obstetric, Gynecologic, & Neonatal Nursing, 41(6), 761-773. Luby, J. L., Barch, D. M., Belden, A., Gaffrey, M. S., Tillman, R., Babb, C., ... & Botteron, K. N. (2012). Maternal support in early childhood predicts larger hippocampal volumes at school age. Proceedings of the National Academy of Sciences, 109(8), 2854-2859. May, C., & Fletcher, R. (2012). Preparing fathers for the transition to parenthood: Recommendations for the content of antenatal education. Midwifery. McGrath, J. M. (2012). Strategies to support the transition to home. The Journal of Perinatal & Neonatal Nursing, 26(1), 8-9. Mendel, W. E., Tomasello, N. M., & Nochajski, T. H. (2012). Building Evidence for a Prevention-Focused Education Program Targeting Parents of Infants and Toddlers. Journal of Family Social Work, 15(4), 272-287. Milgrom, J., Schembri, C., Ericksen, J., Ross, J., & Gemmill, A. W. (2011). Towards parenthood: an antenatal intervention to reduce depression, anxiety and parenting difficulties. Journal of Affective Disorders, 130(3), 385-394. Miller, A. M., Hogue, C. J., Knight, B. T., Stowe, Z. N., & Newport, D. J. (2012). Maternal expectations of postpartum social support: validation of the postpartum social support questionnaire during pregnancy. Archives of Women’s Mental Health, 15(4), 307-311. Murphy Tighe, S. (2010). An exploration of the attitudes of attenders and non-attenders towards antenatal education. Midwifery, 26(3), 294-303. Ngai, F. W., & Chan, S. W. C. (2012). Learned resourcefulness, social support, and perinatal depression in Chinese mothers. Nursing Research, 61(2), 78-85. Nieuwenhuijze, M. J., de Jonge, A., Korstjens, I., Budé, L., & Lagro-Janssen, T. L. (2013). Influence on birthing positions affects women's sense of control in second stage of labour. Midwifery. Nieuwenhuijze, M., Jonge, A. D., Korstjens, I., & Lagro-Jansse, T. (2012). Factors influencing the fulfillment of women's preferences for birthing positions during second stage of labor. Journal of Psychosomatic Obstetrics & Gynecology, 33(1), 25-31. Nolan, M. (2012). Before we begin: The importance of antenatal education. The Practising Midwife, 15(4), 12. Nolan, M. (2012). 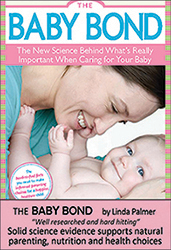 Preparation for birth and beyond: giving birth and meeting our baby. The Practising Midwife, 15(6), 32. Nolan, M. L., Mason, V., Snow, S., Messenger, W., Catling, J., & Upton, P. (2012). Making Friends at Antenatal Classes: A Qualitative Exploration of Friendship Across the Transition to Motherhood. The Journal of Perinatal Education, 21(3), 178-185. Nolan, M., Catling, J., & Smith, J. (2012). At home in early labour: what fathers do and how they feel--part 3. The Practising Midwife, 15(3), 14. Novick, G., Sadler, L. S., Kennedy, H. P., Cohen, S. S., Groce, N. E., & Knafl, K. A. (2011). Women’s experience of group prenatal care. Qualitative Health Research, 21(1), 97-116. Odom, S. L., & Chandler, L. (1990). 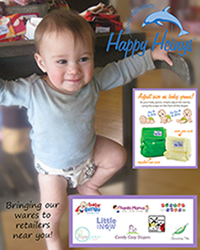 Transition to parenthood for parents of technology-assisted infants. Topics in Early Childhood Special Education, 9(4), 43-54. Petch, J., Halford, W. K., Creedy, D. K., & Gamble, J. (2012). 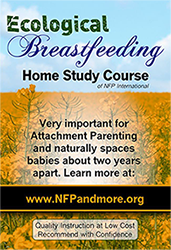 Couple Relationship Education at the Transition to Parenthood: A Window of Opportunity to Reach High-Risk Couples. Family Process, 51(4), 498-511. Phillips, K. F. (2011, November). A Phenomenological Study Exploring the Perceptions and Lived Experiences of First-Time Breastfeeding Mothers. In 41st Biennial Convention (29 October-2 November 2011). STTI. Premberg, Å., Taft, C., Hellström, A. L., & Berg, M. (2012). Father for the first time-development and validation of a questionnaire to assess fathers’ experiences of first childbirth (FTFQ). BMC Pregnancy and Childbirth, 12(1), 35. Rahimparvar, S. F. V., Hamzehkhani, M., Geranmayeh, M., & Rahimi, R. (2012). Effect of educational software on self-efficacy of pregnant women to cope with labor: a randomized controlled trial. Archives of Gynecology and Obstetrics, 286(1), 63-70. Rees, B. L. (1980). Measuring identification with the mothering role. Research in Nursing & Health, 3(2), 49-56. Rodrigo, M. J., Almeida, A., Spiel, C., & Koops, W. (2012). Introduction: Evidence-based parent education programmes to promote positive parenting. European Journal of Developmental Psychology, 9(1), 2-10. Rowe, H. J., Holton, S., & Fisher, J. R. (2012). Postpartum emotional support: a qualitative study of women’s and men’s anticipated needs and preferred sources. Australian Journal of Primary Health. Salmela-Aro, K. (2012). Transition to parenthood and positive parenting: Longitudinal and intervention approaches. European Journal of Developmental Psychology, 9(1), 21-32. Sevón, E. (2012). ‘My life has changed, but his life hasn’t’: Making sense of the gendering of parenthood during the transition to motherhood. Feminism & Psychology, 22(1), 60-80. Shim, C. S., & Lee, Y. S. (2012). Effects of a Yoga-focused Prenatal Program on Stress, Anxiety, Self Confidence and Labor Pain in Pregnant Women with In Vitro Fertilization Treatment. Journal of Korean Academy of Nursing, 42(3), 369-376. Stewart-Brown, S. (2012). Peer led parenting support programmes. BMJ-British Medical Journal, 344(7849), 10. Tohotoa, J., Maycock, B., Hauck, Y., Dhaliwal, S., Howat, P., Burns, S., & Binns, C. (2012). Can father inclusive practice reduce paternal postnatal anxiety? A repeated measures cohort study using the hospital anxiety and depression scale. BMC Pregnancy and Childbirth, 12(1), 75. Tomkinson, J., Baradaran, N., Wendy, A., & Patricia McNiven, R. M. (2011). Birth technology and maternal roles in birth: Knowledge and attitudes of Canadian women approaching childbirth for the first time. J Obstet Gynaecol Can, 33(6), 598-608. Warriner, S., Williams, M., Bardacke, N., & Dymond, M. (2012). A mindfulness approach to antenatal preparation. British Journal of Midwifery, 20(3), 194-198. Wennberg, A. L., Lundqvist, A., Högberg, U., Sandström, H., & Hamberg, K. (2013). Women's experiences of dietary advice and dietary changes during pregnancy. Midwifery. Widarsson, M., Kerstis, B., Sundquist, K., Engström, G., & Sarkadi, A. (2012). Support needs of expectant mothers and fathers: a qualitative study. The Journal of Perinatal Education, 21(1), 36. Xuereb, R. B., Abela, A., & Spiteri, G. (2012). Early parenting-portraits from the lives of first-time parents. Journal of Reproductive and Infant Psychology, 30(5), 468-482. Zust, B. (2012). Stress perception among rural and urban perinatal patients. Online Journal of Rural Nursing and Health Care, 10(1), 70-79.